Last day of 2018 Na/GloPoWriMo (poetry writing month). What a great poem to end on as I start my exploration of a full-time career in Poetry. Help give me a good start by spreading the word about my custom poetry offerings or hire me to teach a poetry class in-person or online. Wish me luck and enjoy the poem! P.S. For fans of last year’s “Stamp Collection” poetry book, this year’s stamp-poems (plus several exclusive stamp-poems) will come out this summer in my “Stamp Collection II” book. Look for it on my Amazon Author page or linked on this blog. Thank you so much for following along all month. Virtual hug. and build a great hall. 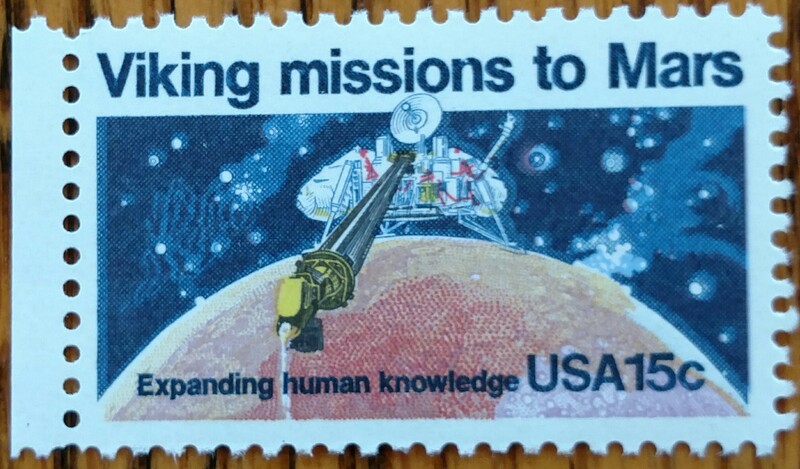 This entry was posted in NaPoWriMo and tagged explorers, long boat, Mars, Mars Mission, new lands, Odin, planet, postage stamp, red planet, stamp, stamp collection, Valhalla, Viking, Viking long boat, Vikings. Bookmark the permalink.